New holiday villa with heated pool, for 10 (+2) people, near sandy beach & sea (150 m away), urban amenities & town centre (1 km), FLEXIBLE arrival / departure day, EARLY check-in! 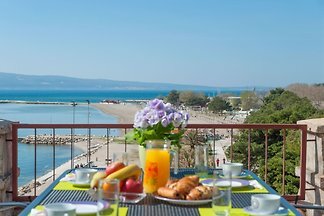 Apartment is private flat, overlooking the sea and the beaches. 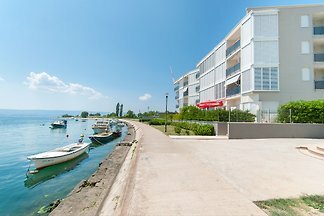 Near the center of town of Omis, 400m away, and sandy beach 400m away. It is a 2 bedroom apartment for 2 + 2 persons. 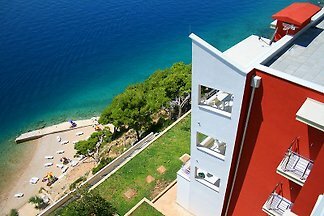 Newly renovated, located in the very center of Omis, next to sandy beach. Apartment has a living room with open plan kitchen, 2 bedrooms, 1 bathroom and private roof terrace. 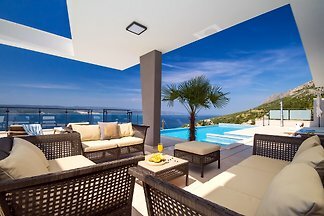 Luxury Villa Bane / house with heated pool and jacuzzi, billiards, overlooking the sea / islands, 120 m from the sea, Max 12 person. 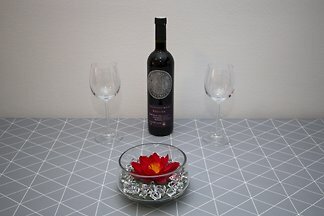 Das Romantic apartment Sara befindet sich in Jesenice und bietet Grillmöglichkeiten, einen Garten und eine Terrasse. Diese Apartment ist die beste fur familien Urlaub. 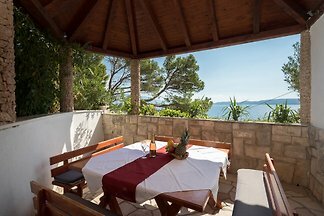 Property is located in place Stanići, only 90m far from the sea and beautiful pebble beach, in a quiet environment and sea views but again close to restaurants and mini markets. 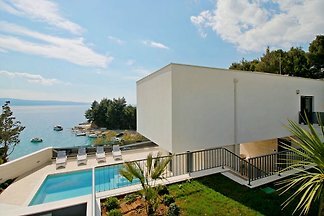 Villa Ana is located in Stanići in secluded place and offer absolutely privacy. It offers 5 apartments and 50msq private pool with summer kitchen. Can accommodate 18 persons. Villa Offers 2 bedrooms, private pool, fully equipped fitness room with bathroom, play-house with play station, outdoor barbecue and dining, Wi-fi, great for families, max 6 per. VILLA ANA, beautiful modern villa in small picturesque village Kučiće, 130m2 of living space, 3 bedrooms, 2 bathrooms, fully equipped kitchen, private pool and big green garden. 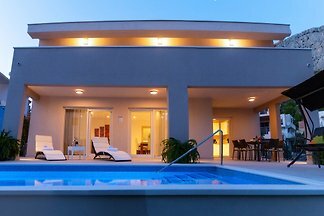 Modern and luxurious villa with private pool & sauna, 4 bedrooms, 10 persons max. Villa Avior offers comfort and luxury with guaranteed privacy. It is specially designed for your pleasure, privacy and relaxation with amazing sea view and private infinity pool. 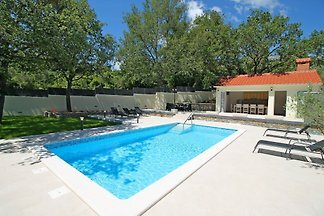 New Apartment VILLA ŠKURA for 8 person with 4 bedrooms, heated pool 8*4 m, summer kitchen with BBQ, fully privacy. Located in small, quiet village Naklice, only 7 km from beach! 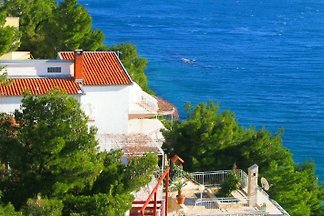 from 5 44 holiday homes & accommodations in Omiš-Riviera were rated with an average of 4.8 out of 5 stars ! 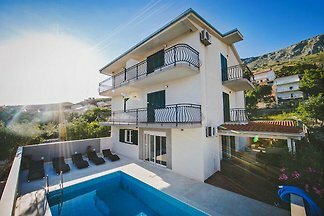 Rent successfully your holiday flat or holiday home in Omiš-Riviera in only 20 minutes !